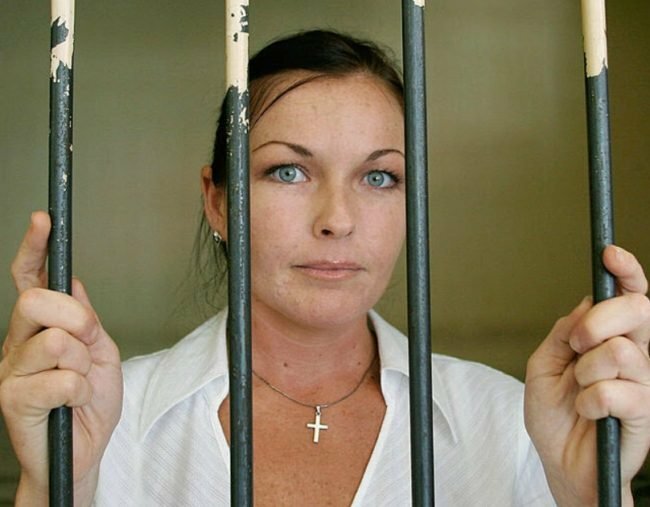 Schapelle Corby return to Australia: why we're all still captivated. Schapelle Corby first made headlines in October 2004. The Queensland woman was caught by customs officials at Denpasar’s Ngurah Rai Airport, arriving from Australia with more than four kilograms of cannabis wrapped in plastic in her bodyboard bag. Corby will today depart Bali and arrive back in Australia. The then-27-year-old immediately denied the drugs were hers but she was arrested on the spot. “I just saw a plastic and thought ‘This isn’t supposed to be here. I didn’t put it there’,” Corby said. Despite her pleas of innocence, Corby was charged with importing cannabis, imprisoned and ordered to stand trial. “I shouldn’t be here. So I’m just trying to be strong and I’m just lucky that I’ve got really good family and friends to help me get through,” Corby told reporters at the time. The trial began in January 2005 and Corby’s every move to and from her cell to the Denpasar District Court was followed by a massive media pack. Back in Australia, the drama of Corby’s saga spawned a huge following. Every detail of the case was reported in the daily media. And every Australian seemed to have an opinion on Corby’s guilt or innocence. Her defence team successfully sought private meetings with the Foreign Minister. Even the Australian prime minister was asked by reporters what the government would do to advocate for Corby. “We will do everything that we are properly and reasonably asked to do to see that any relevant evidence is presented,” then-prime minister John Howard said. Sister Mercedes Corby — who was based in Bali with her husband and children — believed her younger sibling would be found not guilty. “She’s innocent so she’ll be coming home,” Mercedes Corby told reporters outside the court. But the panel of judges presiding over the trial found the evidence didn’t stack up, and they didn’t believe claims by the defence that a criminal syndicate of baggage handlers planted the cannabis in Corby’s luggage. By May 2005 the judges had made their decision. In a verdict broadcast live on Australian TV and watched by thousands, Corby was found guilty. Corby’s anguish was clear in the courtroom when she realised she was sentenced to 20 years in jail. Standing before the judges, she appeared to hyperventilate and struck her forehead repeatedly with her palm, blinking back the tears. In the courtroom, Corby’s family watched on. They were stunned by the verdict, but that quickly turned to anger. “You judges will never sleep! Never sleep!” yelled Corby’s mother Rosleigh Rose. Back in Australia, the “Free Schapelle” campaign gathered momentum. There were demonstrations outside the Indonesian Embassy. There were fundraisers to raise money for Corby. Talkback radio programs were flooded with calls from angry listeners who demanded Corby’s release — There were even calls for a tourist boycott of Bali. Throughout the ordeal, Corby and her family maintained her innocence. But that didn’t kill off the rumours and speculation that swirled around the case — including claims that patriarch Mick Corby had organised the drug run. The Corby family have always denied those allegations. While Corby stayed imprisoned in Bali’s Kerobokan jail, her defence teams continued to launch a series of appeals against the conviction. The final appeal was heard by Indonesia’s highest court but was rejected in 2008. Attempts to arrange a prisoner swap deal between Australia and Indonesia also failed. But there was one bid at a reprieve that paid off. Then Indonesian president Susilo Bambang Yudhoyono granted a partial pardon, cutting five years off Corby’s sentence. Combined with further remissions marking Indonesia’s Independence Day and Christmas, Corby’s sentence was further reduced. In February 2014, Corby was finally released from Bali’s Kerobokan prison when she was granted parole. Under her parole agreement, Corby initially stayed in the Kuta home of her Balinese brother-in-law Wayan Widyartha, who had been married to Mercedes. Corby also had to report to the Bali Corrections Board once a month. Authorities warned Corby she would be sent back to jail if she broke her parole conditions by doing media interviews. For her three years living in the community in Bali, Corby has kept a low profile and has tried to avoid the media spotlight — biding her time till she could be deported back to Australia in May 2017, 12 years since she was found guilty of drug smuggling.